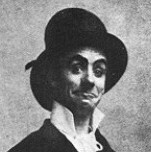 Billed on his 1897 American appearance as 'The Funniest Man on Earth', Dan Leno's humour was often based on the hardships he had endured as a young variety performer. Like Chaplin both parents were entertainers, his slum birthplace in London's Somers Town suggesting that they were far from successful. Economic necessity dictated his debut as a acrobat at the ramshackle Cosmotheca Music Hall, Paddington in 1864. By 1866 his father had died and his mother's remarriage to the comedian Will Leno led to a migration to Liverpool where Dan and his brother regularly appeared as 'The Brothers Leno - Champion Dancers'. For the next fifteen years the family pursued engagements throughout the north of England, Scotland and Ireland. By his late teens Dan was appearing as a solo performer, winning a 'World' clog dancing competition at Leeds in 1880. Following a triumphant London debut in 1885, a succession of pantomime engagements at the Surrey Theatre and Drury Lane, established him as the nation's favourite comedian. Leno's adroit use of mime gave emphasis to a stream of absurd, yet believable patter that revolved around the uncertainties of everyday life. As a shop assistant, swimming instructor or housewife he struggled to explain himself to an increasingly confused, but delighted, audience. When words failed he would break into manic dances or take gigantic leaps across the stage; a form of expression that was to make him an ideal subject for film-makers. As with Stan Laurel, who resembled him closely, the diminutive Leno had a Hardy-like foil in the massive form of Herbert Campbell (1846-1904). The two comedians became a theatrical institution as they entertained Drury Lane audiences in sixteen consecutive productions. Towards the end of their lives Leno and Campbell featured in several comedy films. Both appeared in The Rats (1899), Burlesque Attack on a Settler's Cabin (1899), Burlesque Fox Hunt (1899), all made for Warwick; and for Biograph Dan Leno and Herbert Campbell Edit 'The Sun' (1902). 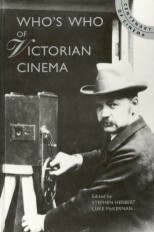 Leno's solo films, made for Warwick, Biograph and Birt Acres, include Dan Leno's Attempt to Master the Cycle (1899), Dan Leno's Cricket Match (1900), Dan Leno's Day Out (1901), Dan Leno, Musical Director (1901), Dan Leno's Record Score (1901), Bluebeard (1902), Dessert at Dan Leno's House (1902), and The Obstinate Cork (1902). All sadly are lost as films, but The Obstinate Cork does survive as a Kinora reel and Dessert at Dan Leno's House was discovered in 2013 as a Mutoscope reel. For Leno, the strain of continuous performance led to a series of breakdowns and an early death at the age of forty-three.